Duet twin wheel Master CastersÃƒÂƒÃ'Â¯ÃƒÂ'Ã'Â¿ÃƒÂ'Ã'Â½ with a contemporary design. 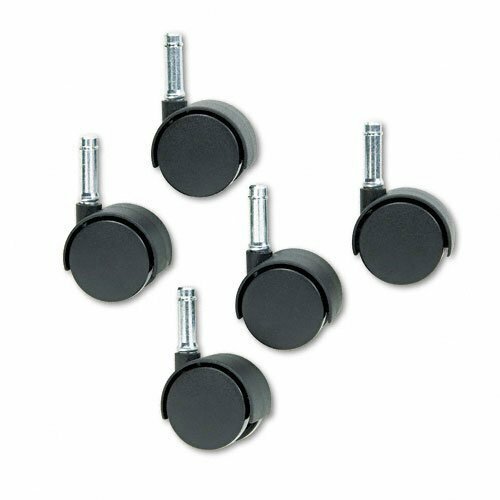 ;Contemporary design, strength and performance make these replacement casters an excellent choice for office and home furnishings. ;With appropriate stems and fasteners, each caster can be used on wood, metal and tubular metal chairs, furniture and other equipment. ;All casters carry the manufacturer's guarantee against defects in material and workmanship. ;For light to medium duty.